Call it the many nights of long knives, it still may not sufficiently capture the intrigues, betrayals, sellouts and drama that typified the various meetings which ultimately culminated in the choice of a former Attorney-General and Commissioner for Justice in Lagos State, Professor Yemi Osibajo, as the All Progressives Congress (APC) deputy to the presidential standard-bearer of the party, Major-General Muhammadu Buhari. With barely 24 hours to the Independent National Electoral Commission (INEC) deadline for the submission of names of candidates by political parties, the name Osibajo, which had been making the rounds as the alternative choice, finally got the official stamp of approval of the general to run with him on the party’s ticket. 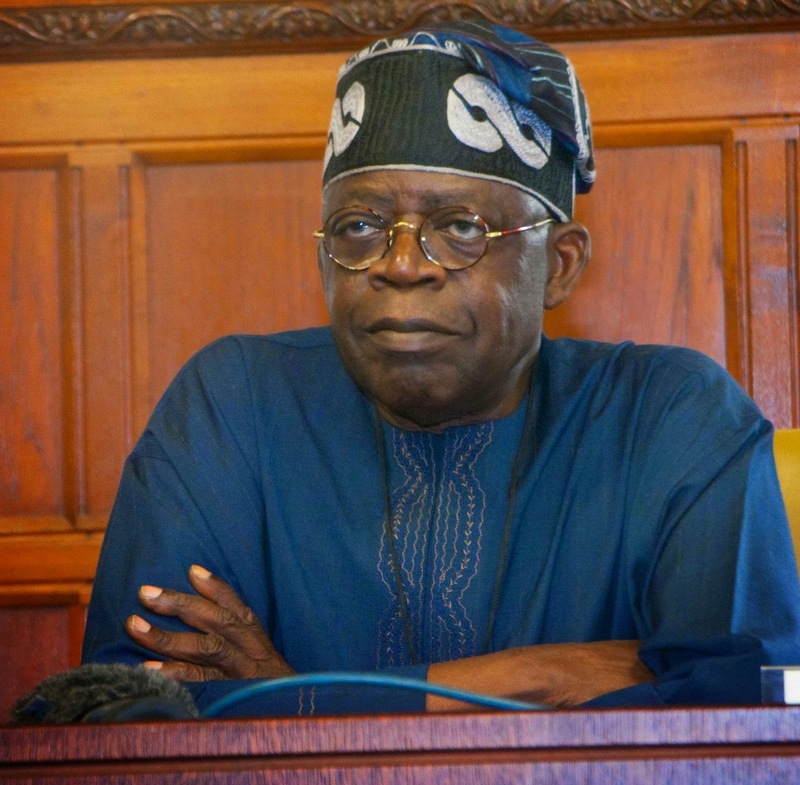 Practically all but the last meeting convened for the choice of a running mate for Buhari had failed for one reason: the reported interest of a former governor of Lagos State and one of the national leaders of the party, Bola Tinubu, who made a poor show of concealing his desire for the job. 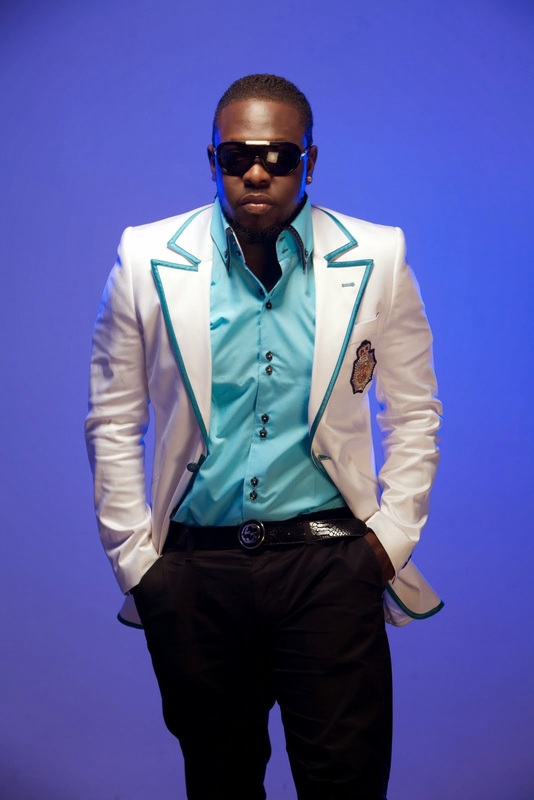 Timaya may be 37-year-old with a babymama and a daughter, yet, he believes he is still too young to get married .He told Saturday Beats: “I am not yet ready to get married and anyone who is looking for that is only being deceived because I am too young to get married. Marriage is not all about MONEY and nobody knows what I have in the bank because they are not my accountant. Musicians lie a lot, so don’t believe most of what they tell you. They are only trying to ‘package’ themselves. Star actress, Oma Nnadi, who has been shuttling between the United States and Nigeria in recent times, has finally returned home with love. The actress flew into the country last week, looking hot, daring and irresitible. Could it be that the Nkwere, Imo State-born actress, has found love in America, or that she’s hoping to do so ? Boko Haram militants have in the past hour launched an attack on Damagum, Yobe State, Ashiwaju.org learnt, leaving several people dead. Our source, a military officer of the 7th Division of the Nigerian Army in Maiduguri, Borno State, but who is currently on operations in Yobe State, confirmed to Ashiwaju.org that the militants attacked the town about one hour ago. He said the level of casualties was unclear, but the military is working to obtain further information. The crisis rocking the PDP in Ogun State has entered a crucial stage as the Independent National Electoral Commission recognized a faction of the Peoples Democratic Party led by the South West leader of the party, Mr. Buruji Kashamu, thereby worsening the crisis over parallel primaries in the state. This action has therefore thrown the faction allegedly being financed by ex-President Olusegun Obasanjo into dilemma. The INEC Secretary, Mrs. Augusta Ogakwu, in a letter to the national chairman of PDP, Alhaji Adamu Muazu, and obtained by journalists on Friday in Abuja, said the action was based on two previous orders in a Federal High Court in Lagos. They are suit Nos. FHC/L/CS/1266/2012-Chief (Engr.) Adebayo Dayo & ANORS Vs. INEC & ORS; and FHC/L/CS/347/2012-Chief (Engr.) Adebayo Dayo & ANORS Vs. PDP & ANORS in Re-Application for committal of PDP and 4 ORS. Leading entertainment outfit, Chocolate City, has officially sealed a management deal with Femi Kuti, the first son of Afrobeat legend, Fela Anikulapo Kuti, during the week in Lagos. Your soon-to-be-released movie, Ibudo, what is it about? Ibudo is a story that educates the public against discrimination. It is a movie meant for both the old and young. I thank God for the success of its making. Fast rising actress, Judith Audu, is currently in a happy mood. Her movie,Not Right, was one of the films nominated in the Best Short Film category for the Africa Magic Viewers’ Choice Awards (AMVCA) 2015.
amvThe actress took to her facebook page during the week to celebrate the nomination. “I have been in a state of shock!! !, laughed, screamed, cried, shouted like a mad person!!! Am overwhelmed with so much joy that can’t be put in words!!! Oh my God!!! Oh my God!!! Against all odds you keep blessing me! You keep giving me a reason to want to dance! To celebrate no matter what! You always put a new song in my mouth! My God, I just want to lift my voice and sing praises unto you till my voice cracks. Thank you! Thank you to everybody that has in one way or the other encouraged, motivated and given me a platform to do what I love to do and to do even more. Madonna on Saturday suddenly released six new songs months ahead of schedule, upset that early versions had leaked online. The pop icon’s new songs, available immediately for sale and streaming online, will be part of her first album in three years, “Rebel Heart,” which comes out in March. It’s been awesome, interesting and crazy at the same time. Let’s just say I am having fun all the way. What do you mean crazy? Challenges in the true sense of the word, like not really having producers believing in you and of course, you know yourself, you know you have the talent but the producer doesn’t see it your way. As an actress I have had to go the extra mile, not in the negative sense, to make people see beyond the looks and see deep into the beautiful talent within. I thank God I have gone beyond that now. The Lagos State Government will pay its workers 15 per cent bonus in the December salary as an end of the year gift, the State Head of Service, Mrs Oluseyi Williams, said on Friday. Williams spoke at the end of the year get together and appreciation party for principals and directors in the Ministry of Education. According to her, the bonus is to show that the government is committed to the welfare of workers. Williams said, “Some states are owing their workers up to four months salary but that is not the case in Lagos. Security was beefed up around the Osun State High Court premises on Friday as Governor Rauf Aregbesola and the All Progressives Congress vice-presidential candidate, Prof. Yemi Osinbajo, appeared before the election petitions tribunal hearing matters arising from the August 9 governorship election in the state. There were more armed security agents at the court and around the court premises on Friday than at the previous sittings. The police as usual closed the road in front of the court to commercial vehicles and motorcycles while private cars with verifiable missions around the area were allowed to move on the road. Operatives of the Department of State for Security and Explosives Ordinance Department were present to ensure that there was no security breach. The factional speaker of Ekiti State House of Assembly, Dele Olugbemi, said your impeachment was constitutional because the House had the number of people required to impeach you, which was 10. What do you say to that? I’m disappointed in him because it shows he is not a legislator. He doesn’t know what the constitution of the Federal Republic of Nigeria says. The constitution says the speaker of the assembly could only be impeached by two-thirds of the members of the entire house. In a house of 26, it will take 18 members of the assembly to impeach the speaker. So it was an illegal impeachment in the first instance because they did not form a quorum. You need at least nine members to form a quorum in a house of 26 and they were just seven. So the sitting was illegal let alone the actions that were carried out. The 19 All Progressives Congress members of the Ekiti State House of Assembly on Friday formed a parallel assembly at a secret location and suspended factional Speaker Dele Olugbemi and the six lawmakers loyal to him. The APC lawmakers accused the seven Peoples Democratic Party lawmakers of violating Section 96 (1) of the 1999 Constitution. Olugbemi and the six lawmakers had purportedly “impeached” the state House of Assembly Speaker, Dr. Adewale Omirin, and his deputy, Taiwo Orisalade, on November 20, 2014. At the plenary held at a secret location in Ado-Ekiti and presided over by Omirin, the APC lawmakers also nullified all legislative actions purportedly carried out by the Olugbemi-led Assembly. The continuous fall in the price of crude oil in the international market and the recent devaluation of the nation’s currency, the naira, are putting serious pressure on the economy, with the currency experiencing a free fall. The naira exchanged for between 192 and 194 to the United States dollar at the parallel or street market on Friday. Earlier in the week, it sold for N188 against the dollar at the same market. Our correspondents similarly gathered that the pound and euro sold for between N294 and N296, and N236 to N238, respectively on the streets of Lagos on Friday. The continued fall in crude oil price had forced the Central Bank of Nigeria to use a huge chunk of the nation’s external reserves to defend the naira. One of the 54 soldiers sentenced to death by a Nigerian Army court martial for mutiny and conspiracy to commit mutiny has taken to the social media to express his frustration. The soldier, who bears the name Fahat Fahat, posted on his Facebook page on Friday that all the soldiers asked for were better weapons. “Hello ladies and gentlemen. I am soldier and I am sentence to death by the Nigeria army (sic) (be)cause we did not go to fight Boko Haram without equipment. We ask for weapon instead dem gave death sentence (sic),” he posted in a chilling message that gives a firsthand insight into the likely state of mind of the soldiers. As early as 5:30am when she rises from the shabby mat that lies on the bare floor in her parents’ rented one-room apartment, she hurriedly dashes to the well in front of the house to fetch some water for bathing and cooking, and then she heads to the bush – miles away from her home – where she fetches firewood, just before she goes to school. Oftentimes, she gets to the school very late, worn out and flaky. The construction of 2nd Niger Bridge through a Public Private Partnership involving Julius Berger -NSIA Consortium and tolling the Igbo people for 25 years thereafter is another 419 on the Biafran Igbo citizens of South East Nigeria. According to the terms of this fraudulent business, the project is a Design, Finance, Build, Operate and Transfer (DFBOT) model to cost N117 Billion naira with the Federal Government contributing a paltry N30 billion naira while the consortium will raise the rest of the funds and thereafter hold the Igbo people to ransom by collecting a 25 year toll tax for raising the rest of the funds offshore. Actor Giuld Oh Nigeria President Ibinabo Fiberesima is now married to her longtime partner, Uche Egbuka. The joyous bride had earlier shared some photos of herself earlier yesterday, December 18, 2014, hours before the traditional marriage ceremony took place in her hometown in Okrika, Rivers state. As expected, families and friends of the couples were present to celebrate their own with them. Ibinabo's children were also on hand to celebrate with their mother and their new dad. Here, we have some official photos from the colourful event below. President Goodluck Jonathan on Thursday disclosed that for every issue he had to take a decision on, multiple suggestions that were most times contradictory were given to him. He said it was therefore important for Nigerians to continue to pray to God to give him wisdom to take right decisions that would not bring suffering to the people. Jonathan spoke at the 2014 Christmas Carol organised by the Aso Villa Chapel, at the old Banquet Hall of the Presidential Villa, Abuja. 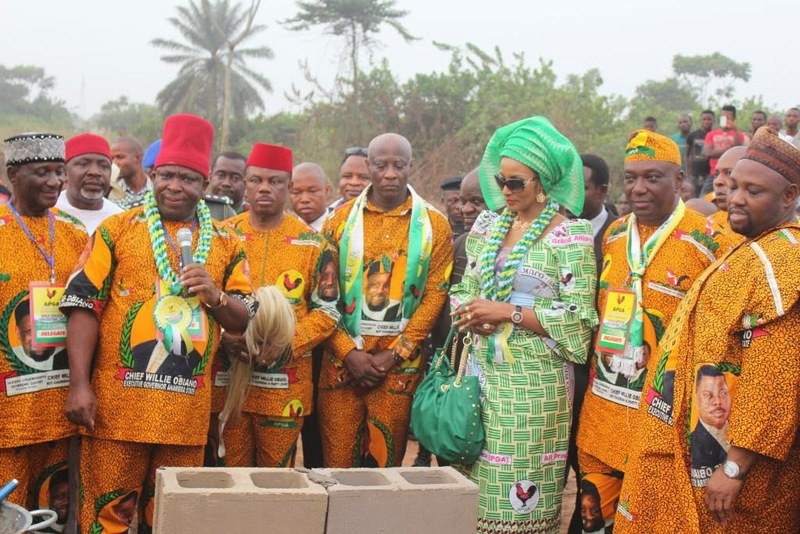 It was jubilation all the way for the leadership and members of the All Progressive Grand Alliance (APGA) as the party laid the foundation for its proposed office in Awka, the capital of Anambra State after unveiling an artist impression of the proposed project. The proposed office building is a magnificent four-story complex that is designed to shore up the rising profile of the party as an ambitious political group that has been attracting prominent Nigerians to its fold since the appointment of Chief Willie Obiano, the Governor of Anambra State, as the new Board of Trustees Chairman and National Leader. The Ekiti state governorship election petition tribunal sitting in Abuja, on Friday affirmed the return of Governor Ayodele Fayose as the winner of the governorship election conducted by the Independent National Election Commission, INEC, last June. The panel held that the witnesses paraded by the petitioner were unable to adduce concrete evidence to support the claims of corrupt practices at the polling units and that their testimonies did not support such claims that the election did not comply substantially with the provisions of the Electoral Act. Straining against the leash of slavery and segregationist America, Fredrick Douglas, foremost African American abolitionist once thundered at his fellow blacks this way – “It is not light that we need, but fire; it is not the gentle wind, but thunder. We need the storm, the whirlwind, and the earthquake.” A fiery speaker, Douglas stood out in his day as a charismatic speaker with a blade for a tongue. Nothing in recent political memory invokes the fullness of Fredrick Douglas ’plangent plea as the personality of Chief Victor Umeh, the National Chairman of APGA. A former coach of Nigeria, Adegboye Onigbinde, has disclosed that he has personally written to out-of-contract Super Eagles coach, Stephen Keshi, to quietly seek a job elsewhere. Onigbinde spoke with a Nigerian online news portal SuperSport.com. Of late the calls have been deafening mostly from former Nigerian managers for the erstwhile Mali and Togo coach to leave the Eagles job after he failed to qualify the country for the 2015 Africa Cup of Nations in a dismal fashion. The latest calls for Keshi to quite have come from Christian Chukwu, Shaibu Amodu, and Kashimawo Laloko, among others. At least 75 Boko Haram fighters were killed by Nigerian troops on Wednesday during a clash with the insurgents in Borno, security sources, and Power Holding Company of Nigeria staff have said. SaharaReporters gathered that over hundred Boko Haram fighters stormed Bulaburin village to attack military men who escorted PHCN staff to repair power installations that were destroyed by insurgents six months ago in Damboa. The militants came in a convoy of Hilux vehicles and motorcycles but met heavy resistance, a military source said. A PHCN staff on assignment in the area told SaharaReporters that the military killed up to 75 militants during the encounter. 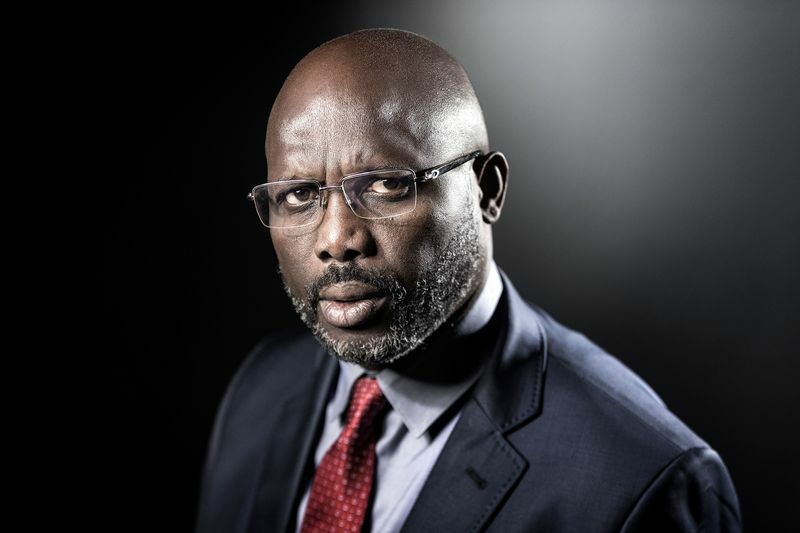 A Special Adviser on Media and Publicity to President, Reuben Abati, published an abstract from secret documents in his Twitter, exposing the information from Wikileaks about Buhari’s 1983-84 governing years. The information is provided by the Public Library of United States Diplomacy through Wikileaks. The exposed classified letter is dated September 20, 2002. It reads in part:Like President Obasanjo before the 1999 election, General Buhari’s political experience is limited to that of military Head of State. Buhari came to power as a result of a 1983 New Year’s Eve coup against the democratically elected Shehu Shagari. The eviction of Shagari came as a welcome relief as did Buhari’s promise to root out corruption. That relief, however, was short-lived as Nigerians watched despairingly as the Buhari regime’s promises to revive the economy and wipe out rampant corruption withered during 20 months of heavy-handed, largely ineffective rule. Nigerian music power couple, Tunde and Wunmi Obe (T.W.O) have released a video and a single from their forthcoming album T.W.O Plus. The video titled ‘Omonsa’, meaning ‘Dance’ in the Ghanaian Twi dialect, was directed by popular music director, Clarence Peters and features the very versatile and talented actress Funke Akindele, DJ Jimmy Jatt, Don T Anifite, and more. In the video, the couple play the roles of secret agents on a mission to bust five former dance champions – now senior citizens – from the Old People’s Home, to enable them engage in a Dance-Off against a group of youngsters, the ‘Gang-X’. Nollywood’s ace producer and scriptwriter, Emem Isong is set to release her directorial debut ‘Champagne’. The movie which was shot in South Africa and America features Majid Michel, Alex Ekubo, Mbong Amata, Tana Adelana, Padita Agu, Susan Peters, Anita Chris amongst others. ‘Champagne’ premieres & starts showing in cinemas nationwide from Friday December 19th. In this interview, she talks about the movie, her career and new found love. Excerpts…. The Federal Polytechnic, Oko has signed a Memorandum of Understanding, MoU, with the Anambra State government and Innoson Vehicle Manufacturing, Nnewi for a partnership programme on skills acquisition for students of the institution and all technical and vocational colleges in the state. The bedrock of the agreement, according to the Commissioner for Education, Professor Kate Omenugha, was to boost technical and vocational education in the state. Justice Jide Falola of an Osun State High Court sitting in Okuku has sentenced two robbers to death for stealing fowls. The convicts, Olowookere Segun and Morakinyo Sunday, were found guilty of forcefully breaking into the house of one Mr. Balogun Tope, a police officer attached to Divisional Police headquarters, Okuku, in April 2010 and carting away some of his belongings. The convicts were charged with conspiracy, robbery and stealing contrary to Section 6(b) and 1(2)(a) of Robbery and Firearm (Special Provisions) Act, cap R 11 Laws of Federation of Nigeria 2004 and Section (390)(1) Criminal Code Law, Cap 34, Laws of Osun State, 2002. The prosecution team, led by the state Solicitor-General, Mrs Abiola Adewemimo, called six witnesses and tendered several exhibits during the prosecution. THE third edition of Legends of Nollywood Awards, initiated and organised by Nollywood actor, Paul Obazele held on the 6th of December 2014 at the National Theatre in Igammu area. The award was created to honour founding fathers and mothers of the Nigerian movie industry. In attendance where legendary names like Sadiq Daba, Mrs Taiwo Ajayi Lycet, Nkem Owoh, Tony Akposheri, Franca Brown, Zack Orji, Nobert Young, Larry Koldsweat, Ejiro Okurame, Emeka Ike, Henrietta Kosoko and a host of other celebrities and media personalities. The proposed Ibaka deep sea port, Akwa Ibom, has been relocated to Ibeno Local Government Area, while the name has been changed to Ibom from Ibaka. Vanguard gathered that the project analysis done by a foreign consultant and Transaction Advisers, FELAC Concept and Marine and Transport Business Solutions, MTBS, of Netherlands, showed that the port project would not be commercially viable if sited at Ibaka due to its long distance from the sea..
A source close to the Ministerial Steering and Delivery Committee for the port who spoke to Vanguard, explained that the project had to be moved initially to Okposo. The source further noted that the same problem of distance from the sea as well as the dense population, made it non-viable. The source said that the soil analysis on Okposo showed that the earth there is marshy which would further drive up the cost of construction should it be sited there. The All Progressives Congress, APC, has named Gov. Rotimi Amaechi of Rivers State as the Director-General of the APC Presidential Campaign Organisation, which will drive the party’s efforts to win the 2015 presidential election. In a statement in Lagos, yesterday, by its National Publicity Secretary, Alhaji Lai Mohammed, the party said the announcement followed the hugely successful convention at which its presidential candidate, Gen. Muhammadu Buhari (rtd), was democratically elected, and the follow-up successful choice of his running mate, Prof. Yemi Osinbajo. It said Gov. Amaechi’s outstanding reputation as a man of courage, principle, strength of character, decency and love of country as well as his administrative prowess and organisational skills combined to fetch him perhaps the most important task in the quest for positive change in Nigeria. Former Deputy National Chairman of the Peoples Democratic Party, PDP, Chief Bode George, has called for an end to verbal attacks by Obanikoro. The statement reads; ‘’One has refrained from engaging Senator Musiliu Obanikoro despite his gross and alarmist provocations. I have deliberately remained distant and quiet, ignoring the stark obscenities of a desperate and obsessed man who is apparently incapable of absorbing the reality of his defeat by a well-bred and better man. ‘’For Obanikoro to claim in sheer ludicrousness that I, even remotely, identify with any intimations of violence is utter lunacy and blind, vindictive madness. Surely, Obanikoro is possessed and obsessed. He needs immediate psychiatric treatment. 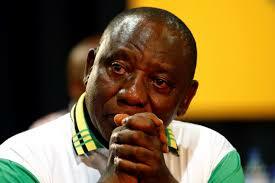 He is a desperate sinking man, grasping and thrashing in self inflicted chasm. The presidential candidate of the All Progressives Congress, Maj. Gen. Muhammadu Buhari, has deployed the use of major social networking sites, to worm his way into the hearts of the electorate. Checks by iPUNCH on Facebook on Thursday showed that the retired general had begun keeping up with the use of the social service with a view to attracting the support of the younger generation. Although many online analysts might argue that Buhari registered his presence on social media late, his followership has begun growing in leaps and bounds. Lagos State Governor, Babatunde Fashola (SAN), has described the Vice Presidential candidate of the All Progressive Congress, Prof. Yemi Osinbajo, as a competent professional who laid the foundation for an efficient judiciary in Lagos during his time as the Attorney-General. Osinbajo, who was the Lagos State Attorney-General and Commissioner for Justice under the administration of former Governor Bola Tinubu, was picked on Wednesday as the running mate for the APC Presidential candidate in the 2015 general elections, Maj. Gen. Muhammadu Buhari. Fashola, who attributed what he described as an efficient and incorruptible Lagos State judiciary toOsinbajo, said he wished him well in his new journey. The House of Representatives said on Thursday that it would investigate the circumstances surrounding the six warships said to have been procured by an ex-militant leader, Mr. Government Ekpemupolo, a.k.a, Tompolo. The Chairman, House of Representatives Committee on Media and Public Affairs, Mr. Zakari Mohammed, who disclosed this in Abuja on Thursday, also added that the 36 states’ Houses of Assembly would submit their report on the proposed amendments to the 1999 Constitution to the National Assembly on Friday (today). The House described the alleged purchase of the six warships by Tompolo as “scary,” saying that it raised security concerns at a time the country was facing tough security challenges. Although, the Nigerian Navy said on Wednesday that the warships belonged to NIMASA, a Federal Government agency, Mohammed said the House would be interested in knowing how a private individual was now performing a function that was statutorily the Navy’s. “That function should have been performed by the Navy. 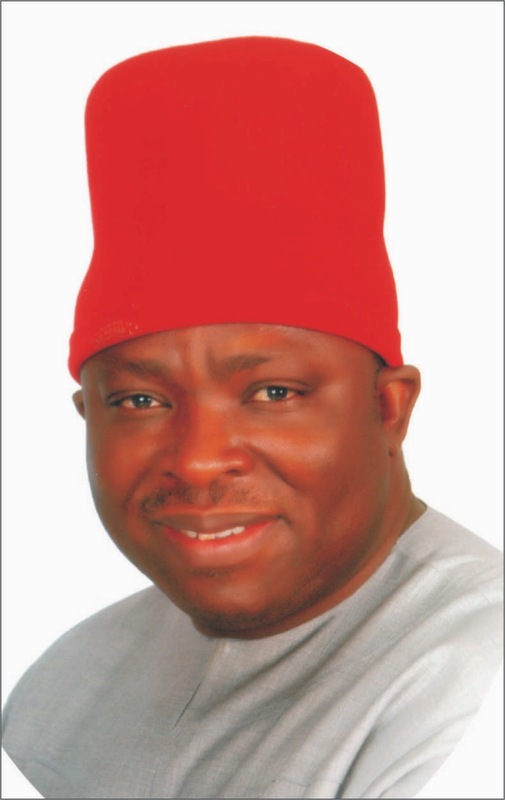 The embattled National Chairman of the All Progressive Grand Alliance, (APGA) Chief Sir Victory Umeh has succeeded having additional 120 days elongation of tenure by a special special convention held in Awka. Over Ten thousand delegates throng Awka, Anambra state capital from the 36 states and the FCT to show their solidarity for the present led APGA exco and ratified that additional days should be considered in the bid to install a purposeful leadership that would stair the affairs of the party from 2015 onward. Moving a vote of endorsement for elongation of tenure for the serving APGA excos by voice vote, the deputy governor of Anambra state, Dr. Nkem Okeke raised the motion to call for an endorsement that would make the present exco have time to concentrate on the coming elections for those contesting and suggested that at least not less than four months should be consider, which will start at the expiration of their tenure that should end on February 10, 2014, from national.down to the ward level. One of the senatorial aspirants of the All Progressives Congress in Osun East Senatorial District, Alhaji Sola Lawal, has petitioned the National Assembly Primaries Appeal Committee of the party, asking the panel to reject the victory of the serving Senator Babajide Omoworare. Lawal made this request in a letter written to the panel, a copy of which was made available to our correspondent in Osogbo on Thursday. In the alternative, the aggrieved aspirant asked the party to declare him the winner of the primary or order that a fresh primary be held to determine the winner. Photos: Meet the lady who won Rev. 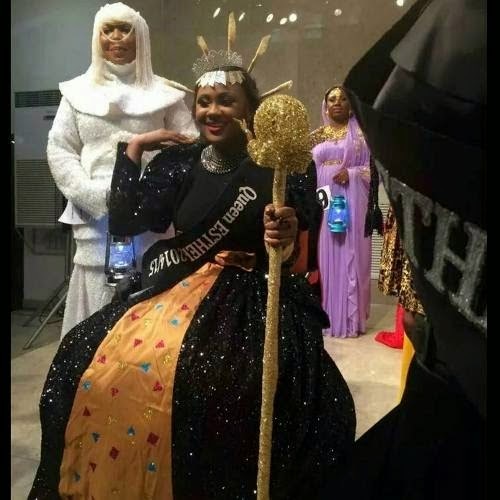 Chris Okotie's Queen Esther beauty pageant"
Michelle Isikalu beat 16 other girls to win Queen Esther Beauty and Costume pageant which held this past Sunday December 14th at the 24th annual Grace event organized by pastor Chris Okotie-led Household of God church at their church premises in Oregun, Ikeja.see more photos below. A former Minister of State for Defence, Musiliu Obanikoro, has accused a leader of the Peoples Democratic Party in Lagos State, Chief Olabode George, and the governorship candidate of the party in the state, Mr. Jimi Agbaje, of recruiting armed thugs to achieve their aims at the governorship primary held on December 8. This is contained in an affidavit he filed before a Federal High Court in Abuja, in support of his suit numbered FHC/ABJ/CS/994/2014, challenging the conduct of the December 8, 2014 governorship primary in which Agbaje was declared as the winner. Barely 24 hours after the General Court Martial headed by Brigadier General Mohammed Yusuf delivered judgment on the trial of 59 soldiers and found 54 of them guilty of mutiny and conspiracy to mutiny thereby sentencing them to death, indications has emerged that the sentences will be appealed as killing them will amount to genocide. Lead counsel to the soldiers and Senior Advocate of Nigeria, Femi Falana in a statement insisted that the action of the soldiers in refusing to obey the orders of the Commanding Officer of the Special Forces Battalion, Lt. Colonel Opurum was as a result of non-availability of arms and ammunition to prosecute the instruction of the Commander. The Redeemed Christian Church of God has dissociated itself from rumours making the rounds that its General Overseer, Pastor Enoch Adeboye, gave his blessings to the vice-presidential ambition of a former Lagos State Attorney General and Commissioner for Justice, Prof. Yemi Osinbajo. The All Progressives Congress had on Wednesday named Osinbajo, who is said to be Adeboye’s close ally, as the running mate of its presidential candidate, Maj. Gen. Muhammadu Buhari (retd.). The RCCG denied celebrating the emergence of the law professor who pastors its Olive Parish located on Banana Island, Lagos. Writing on its official Twitter page on Wednesday, the church said it does not dabble into politics in any shade or colouration. The Senate President, David Mark, on Wednesday alleged that the Divisional Police Officer attached to the National Assembly, Mr. James Idachaba, lied in his accounts of the events of the November 20 invasion of the federal parliament by security agents. 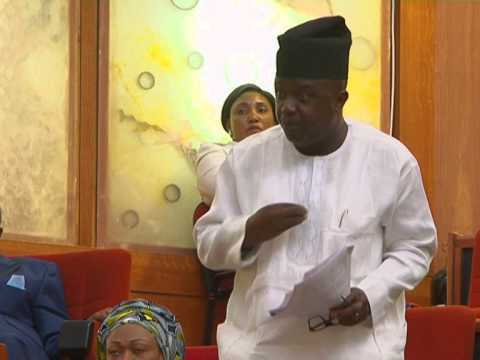 Idachaba, a Superintendent of Police, had alleged before the Senate ad hoc committee probing the unfortunate incident on Monday that he watched one of the police details attached to Mark, released tear gas canisters during the commotion that ensued on November 20. The Abuja Division of the Federal High Court, yesterday, aborted moves by the House of Representatives to investigate the Minister of Petroleum Resources, Mrs. Diezani Alison-Madueke, over the allegation that she spent N10 billion on chartered jet. Delivering judgment on a joint suit filed before the court by the Petroleum Minister and the Nigerian National Petroleum Corporation, NNPC, Justice Ahmed Mohammed voided two separate summons issued to the plaintiffs by the Public Accounts Committee of the House of Reps, which requested them to appear to offer explanations regarding allegations of financial recklessness against them. Justice Mohammed nullified the summons on the premise that no evidence was adduced before the court to show that the proposed investigation was contained in a resolution of the House, which he said ought to have been published in the journal of the National Assembly or the official gazette of the Federal Government of Nigeria. Kano, Nigeria (CNN) -- Boko Haram insurgents kidnapped at least 185 women and children, and killed 32 people in a raid in northeastern Nigeria this week, local officials and residents said. Gunmen in pickup trucks attacked the village of Gumsuri, just north of Chibok, on Sunday, shooting down men before herding women and children together. "They gathered the women and children and took them away in trucks after burning most of the village with petrol bombs," a local government official said on condition anonymity for fear of reprisal. First of all, I congratulate you warmly for winning the nomination of your party for the presidency of Nigeria. Though you and I are different in ethnicity and religion, we have many important things in common. I am a few years older than you – which means that if you and I had been Yoruba boys born in the same Yoruba town or village, we would have belonged to about the same age-grade Association ( with us Yoruba, age-grade loyalty is traditionally a very important factor of life). Moreover, you and I were young Nigerians in an era, the 1950s, when our up-and coming country of Nigeria was a source of great pride to its citizens, and an emerging titan eagerly awaited by most informed people all over the world. Aside the much applauded APGA Special National Convention held at Awka yesterday during which the party ratified Gov Willie Obiano as the BoT Chairman and adopted President Goodluck Jonathan as the party's candidate for the 2015 presidential election, history was made as the party laid the foundation stone for its State Headquarters. There is a popular saying that where there is will, there is a way. This has been proven to be true by the Governor of Anambra State, Chief Willie Obiano, Ebekuedike. The security of Anambra State which has hitherto defied all known solutions was achieved within weeks of Obiano’s assumption of office. The undaunting determination of the Governor to rid the state of criminals paid off with the establishment of operation kpochapu. A proper motivation was provided to law enforcement agents through supply of vehicles and a huge financial support. The resultant effect is the security that is now enjoyed in the state. There is need to build on the current security to ensure it becomes enduring. Efforts need to be made to ensure that criminals that have fled the state do not return.